TV & Reality Jobs>Game Show Contestants Wanted>Changing Rooms Australia is Back and Casting NOW! 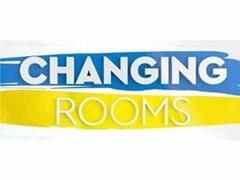 Changing Rooms Australia is Back and Casting NOW! Do you want the perfect excuse to give your rooms a makeover? We are searching for teams of 2 ready to trade spaces & designs with 2 of their friends, neighbours or relatives. Apply now for your chance to get that home makeover you deserve! • Both teams MUST be based in Sydney. Paid : Home makeover worth $20,000!